Chief Steve Mylett was sworn in as Bellevue’s Chief of Police in April 2015 after an extensive national search. 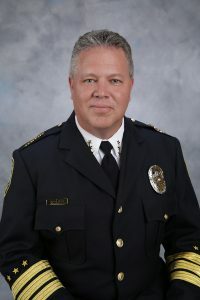 Chief Mylett joined the Bellevue Police Department from Texas, where he led the Southlake Police Department from 2011 until early 2015, following 23 years with the Corpus Christi Police Department. During Chief Mylett’s tenure at Southlake, property crimes decreased by 30 percent. Congratulations to Carmela Ramaglia, she is the special Rotarian Of The Month! We so much appreciate all you do Carmela as chair of the Fellowship Committee, your enthusiasm each week and cheer squad! 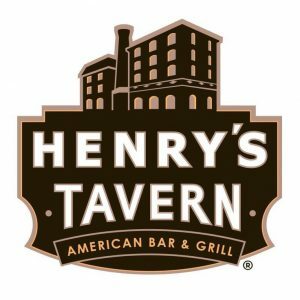 We’re going back to Henry’s for November’s 3rd Thursday Happy Hour!! It’s in the upper floor of the new south Lincoln Center – across from the theaters. The party starts at 4:00 – see you there!! RFH Needs Your Vote for $30,000! Rotary First Harvest is a finalist in BECU’s “People Helping People” Awards and the grand prize is $30,000!! ANYONE (over 18) can vote!! You do NOT need to be a member of BECU. PLEASE use this link and vote today! !